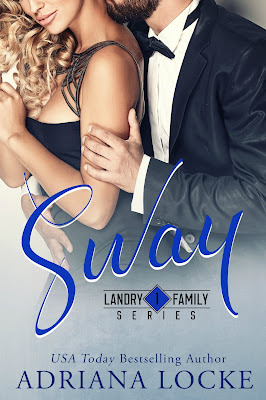 Flow, the prequel to GRIP, by Kennedy Ryan is now live and TOTALLY FREE! And pre-order GRIP, the riveting full-length conclusion, while it's only 99c! Goes up to regular price $3.99 on release day, March 2! "Flow is the intro to an epic love song. It's that first beat that has you stopping in your tacks and turning up the volume. The perfect cadence to a must-read prelude. 5 on top of the world stars!" -Mandi Beck, Bestselling Author of the Caged Love series and Stoned. In 8 years, Marlon James will be one of the brightest rising stars in the music industry. Bristol Gray will be his tough, no-nonsense manager. But when they first meet, she’s a college student finding her way in the world, and he’s an artist determined to make his way in it. From completely different worlds, all the things that should separate them only draw them closer. It’s a beautiful beginning, but where will the story end? Don't miss out on preordering GRIP - only 99c until release day when it goes up to $3.99! 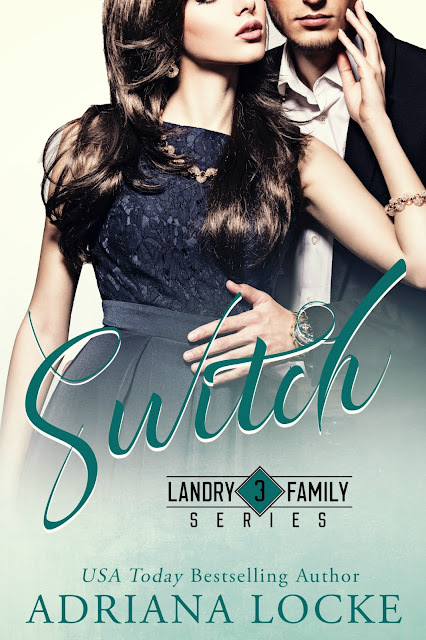 Adriana Locke has done it again... Switch is LIVE!!! We both know we aren’t just talking about a moved stapler or a mishmash of files. As that really sets in, the air around us gets heavier. Hotter. Hazardous. “Those things always lead to dangerous situations,” he says, his eyes trained on me. His chair flies backwards and he’s to his feet and next to me before I know what’s happening. He doesn’t ask that I stand, but he doesn’t have to. It’s implied and my body reacts accordingly to his silent command. We stand face-to-face, our breathing ragged. Our chests heave with the anticipation, the possibility, of what might come next. “You are, quite possibly, the most dangerous of them all,” he says, his voice rough. “Why is that?” I breathe. “But you’ve already penciled me in, haven’t you, Graham?” I ask, finding the courage to play this little game with him. Being strictly professional is incredibly hard, and this is way too easy. I can flirt with the best of them in a bar or on a college campus. But here, with him, it’s a game all its own. A level I had no idea I’d ever be a contender in. Maybe I’m not, but I’m going to play the hell out of it while I’m here … even though if I keep it up, I might not be here for long. A rumble emits from his throat as his eyes darken. My knees go weak and I grab the table with my left hand to ensure I don’t fall. He licks his lips and flips his gaze to my mouth. I think I whimper as I lift my chin, waiting to see what he does next. My entire body is on fire for this man, my heart thumping so hard I’m sure he can hear it. He moves so my back is pressed against the table, our food long forgotten. His hands are on either side of me, caging me in. Our eyes locked together, he leans in, a slow smirk spreading across his gorgeous face. “Excuse me, Mr. Landry. Ford is here to see you,” Raza chirps through the line. We exhale simultaneously, a giggle escaping with mine. There’s nothing funny about this, but the energy has to come out in some way. “Mr. Landry?” she asks again. “Oh, you’re so welcome, sir.” The line clicks off and Graham marches across the room and punches a button. The light on top indicates he’s not to be disturbed. I busy myself with cleaning up our lunch, and before he’s at my side again, I have everything bundled up. “Thanks for lunch,” I say like nothing just happened. “Mallory …” He runs his hand through his hair, leaving one lock sticking up. Knowing what that will look like if we walk out together, I reach up, hesitating for a split second, before smoothing it out. I walk out before I can change my mind. We are very excited to bring you this stunning cover from New York Times bestselling author Sawyer Bennett. THE HARD TRUTH ABOUT SUNSHINE is her most gripping and poignant tale yet and will release on MARCH 28! Single, working, and raising two daughters, it’s a miracle I get us up, dressed, and fed every morning. Forget about dating—nobody’s got time for that. Even if love hadn’t left me jaded, I’m not settling for anything less than perfect this time around.